Make Sandwiches from your home and we will help in getting them distributed to the needy. There are many ways you can contribute to this event! Registration will close by October 5th! 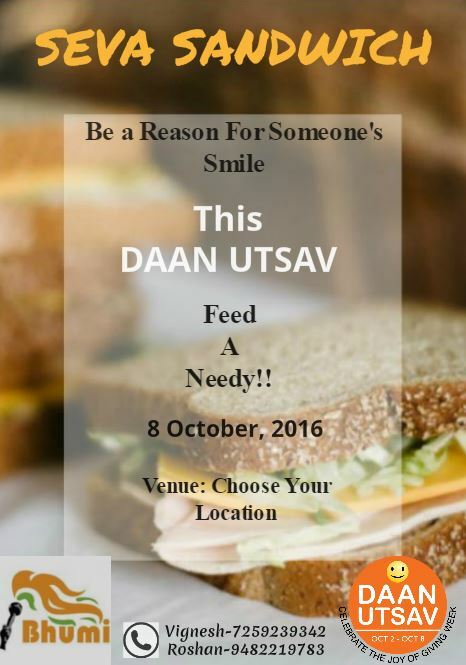 Posted in Bengaluru and tagged Community, Daan Utsav.